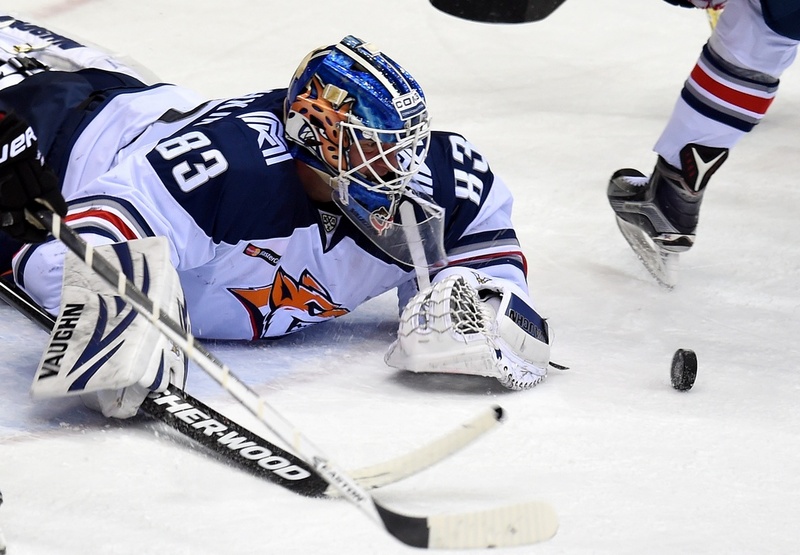 Vasily Kosheckin and Ilya Samsonov face Emil Garipov and Stanislav Galimov – KHL.ru experts Alexander Fomichyov and Andrei Malkov weigh in on Eastern Conference goaltending match-up. KHL.ru previewed goaltending match-up on the eve of the series between SKA St. Petersburg and Lokomotiv Yaroslavl. Game 1 proved a lot of going to depend on solid netminding. We move to the East now. Which goaltending duo is better? 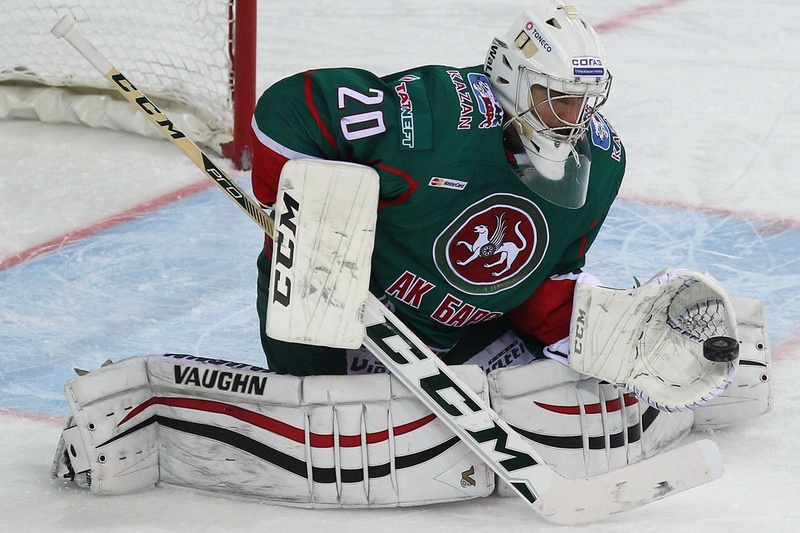 KHL.ru experts weigh in on the upsides and shortcomings of Metallurg and Ak Bars netminders. In the regular season – 45 games, .927 save percentage, 2.13 goals against average, 6 shutouts. In the playoffs – 8 games, .930 save percentage, 2.43 goals against average, 1 shutout. In the regular season – 27 games, .936 save percentage, 2.13 goals against average. Ilya Samsonov often replaced Vasily Koshechkin in goal this regular season, even though he spent a decent amount of time with junior Team Russia, including the trip to the 2017 World Juniors, where he won bronze. Nevertheless, Metallurg Magnitogorsk coaching staff had no doubt who was going to get the nod for the post-season. Koshechkin has a lot of experience and he has already won two Gagarin Cups. Samsonov was solid at the World Juniors and he also started in Metallurg’s first game of the post-season against Kunlun Red Star. Magnitogorsk head-coach Ilya Vorobyov jokingly said after the game that ‘Samsonov was put in goal because it was his birthday.’ The youngster didn’t look out of place and went on to get a win. In the pre-season the experts agreed Kazan had two equal goaltenders. However, Emil Garipov beat Stanislav Galimov to become Ak Bars’ starting netminder with a stellar performance in the regular season. Garipov played almost double the amount of games Galimov played, even though their statistics look almost the same. Garipov plays more and more games every year with Ak Bars. In the 2013-14 season Garipov played 20 games, in the 2014-15 season – 23 and last year he played 31. This season he played 40. Kazan head-coach Zinetula Bilyaletdinov decided to go with Garipov in the playoffs as well and the latter doesn’t disappoint him. Garipov was named the top goaltender f the second round of the 2017 Gagarin Cup Playoffs. Galimov hasn’t played a single game this post-season so far, despite the fact he had more experience than Garipov before the start of this playoff campaign. “Vasily Koshechkin has the most experience among the remaining goaltenders,” says Russian championship bronze medalist and KHL-TV commentator Alexander Fomichyov. “He know how to play in the playoffs and what it takes to win the Gagarin Cup. He is a goaltender of great size. He moves well for a tall goaltender. Ilya Samsonov is a very mobile netminder, even though he also has the size. Actually, there is a great deal of camaraderie between Magnitka’s netminders. They hang out together, give each other advice and ready to replace one another. “Vasily Koshechkin and [Mikko] Koskinen have similar assets – great experience and size,” says 2-time Russian championship title winner and U18 Team Russia goaltending coach Andrei Malkov. “[Koshechkin’s] problem was that he didn’t use his size well. But that’s not a problem anymore. He gained experience, worked with several coaches and it brought results. Now Koshechkin moves around quicker and most of the time just the way he has to. He usually puts himself in the best position. The other thing is, he’s not getting any younger. Hockey is a fast-paced game now and he’s having a hard time keeping up with it sometimes. But I don’t think it’s going to be a problem for him in the 2017 playoffs. It’s a minor shortcoming. “I wouldn’t say Ilya Samsonov is having a difficult season. He’s just 20 years old. Young netminders just need to have a good night sleep after the game to feel fresh in the morning. His schedule is not a problem. He has size and power, he puts himself in the right position and he skates well. 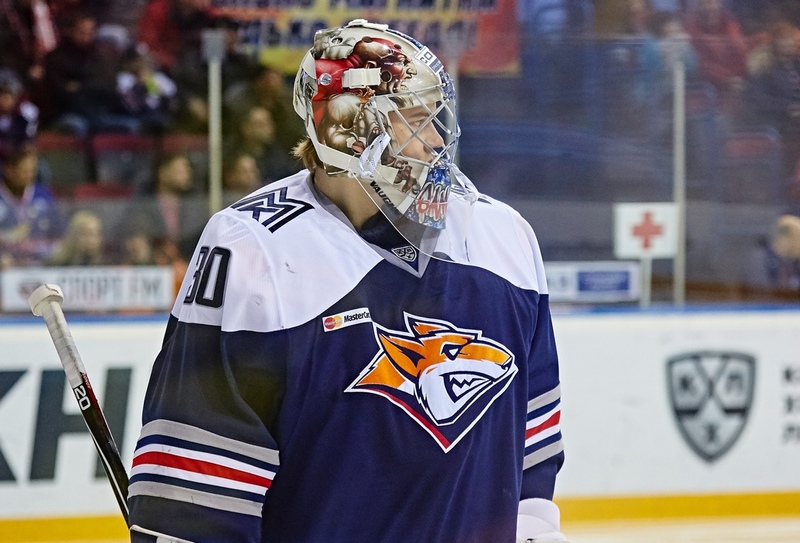 We saw that Samsonov can be a reliable backup when Metallurg needs it. So we can assume he’s mentally tough and it’s not a problem for him to step into the game.